Professor McGloin was born in Hiroshima, and grew up in Hiroshima and Tokyo. She studied at the International Christian University in Tokyo, where she completed her bachelor’s degree in English in 1967. The same year, she was selected as a recipient of the University of Michigan’s Barbour Scholarship, established for “women of the highest academic and professional caliber” from Asian countries, and moved to the United States to embark on her graduate study in linguistics. She received her master’s degree in 1968, and Ph.D. in 1972, both from the University of Michigan. Her dissertation was entitled Some Aspects of Negation in Japanese. After completing her degree, Dr. McGloin taught Japanese at the University of Michigan, and then she was recruited as a tenure-track professor of Japanese Language and Linguistics by the Department of East Asian Languages and Literature at the University of Wisconsin-Madison. For more than two decades, until 1998, she remained as the only woman tenure-track/tenured faculty in the department. 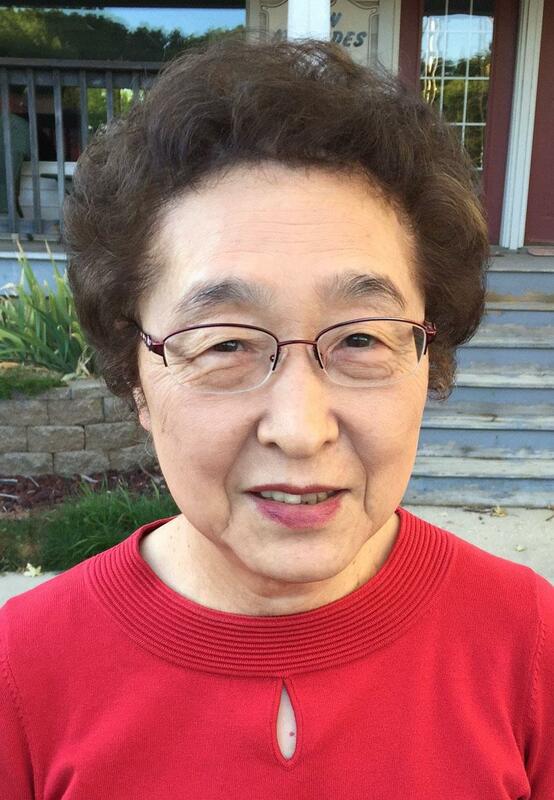 During her tenure at Madison that spanned four decades, she taught both undergraduate and graduate courses in Japanese language and linguistics. She also chaired the department in 1990-1993, 2001-2005 and 2012-2013. Dr. McGloin’s primary research interest has been functional analysis of Japanese grammar. Her 1976 chapter, “Negation” in a volume edited by M. Shibatani and her 1986 book, Negation in Japanese (Linguistic Research Inc. /Boreal Scholarly Publishers), offered the first comprehensive look at negation in Japanese in the generative linguistics framework.Her 1980 article on no da ‘it is that’ is regarded as one of the seminal works on this frequently used sentence-final expression. Further, Aspects of Japanese Women’s Language (1991, Kurosio Publishers), which she co-edited with Sachiko Ide, built a foundation for the subsequent research on Japanese language and gender. She has published a number of articles exploring the relationship between form and function of various linguistic expressions in Japanese. Her more recent publications include “From Connective Particle to Sentence-final Particle: A Usage-based Analysis of shi ‘and’ in Japanese” (Language Sciences, 2010, co-authored with Yumiko Konishi) and “Subordination and Information Status: A Case of To and Koto Complement Clauses in Japanese” (In Usage-based Approaches to Japanese Grammar, ed. by K. Kabata and T. Ono, 2014). In addition to these works in linguistics, Dr. McGloin is known for the creation of language teaching materials firmly grounded in her linguistic analyses. Her 1989 book, A Students’ Guide to Japanese Grammar (Taishukan), offers useful comparison of similar grammatical structures that are confusing for learners of Japanese. The analyses provided in this book are often cited in linguistics articles. An Integrated Approach to Intermediate Japanese (first edition 1994, revised edition 2008), co-authored with Akira Miura, is a long-time best-selling textbook. Further, Modern Japanese Grammar: A Practical Guide (2013) and Workbook (2014), co-authored with Mutsuko E. Hudson, Fumiko Nazikian, and Tomomi Kakegawa, provide function-based as well as traditional accounts of grammatical features, with ample examples to illustrate their use in various communication contexts that second language learners are likely to encounter. Dr. McGloin’s leadership in the field of Japanese language and linguistics is also demonstrated through her contributions to professional organizations, including long-time service as a secretary, board member and the President of the (American) Association of Teachers of Japanese.